Traveler Review for Private Tour in Accra, Ghana by Tour Guide Isaac Kwabena B. About Isaac Kwabena B. Message Isaac Kwabena B. When we met Isaac on the first day he was on time, smiling and quite friendly. Our trip took us around many parts of Ghana. The history of Cape Coast was heart wrenching, but very enlightening. 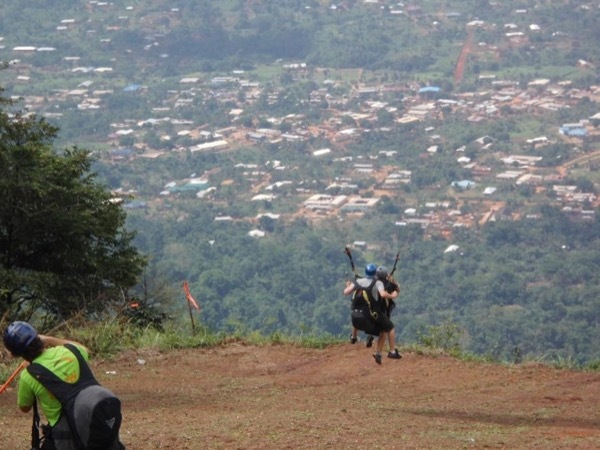 The walk across the ropes at the Kakum National Park was heart stopping, but very much a highlight. Isaac was a smiling and upbeat person. It was our pleasure to have him as our guide. He brought us to great places to eat and he negotiated when we made purchases. I think Isaac did a good job. TOUR GUIDE RESPONSE: Thank you very much for your comment and i also did enjoy every bit of the tour . and i hope to see you again.